The skylanders attack with a basic move so you flip 32 coins for each heads 30 damage each tails 100 damage!!!!!!!! 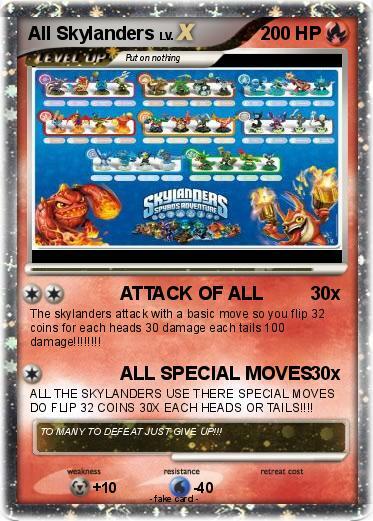 ALL THE SKYLANDERS USE THERE SPECIAL MOVES DO FLIP 32 COINS 30X EACH HEADS OR TAILS!!!! Comments : TO MANY TO DEFEAT JUST GIVE UP!! !